Home Books So Long Alexander Hamilton, Hello Joan Didion? So Long Alexander Hamilton, Hello Joan Didion? 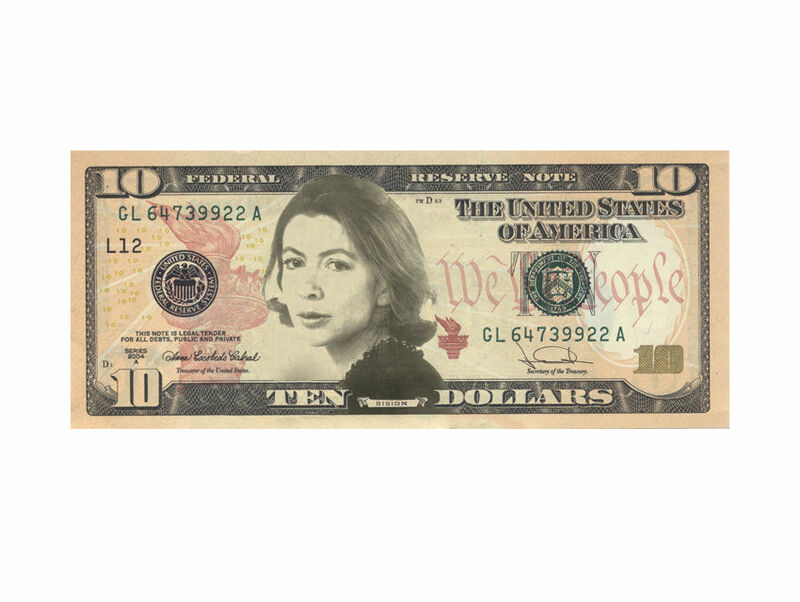 Book Soup, always a supporter of authors and their fans, has started a new campaign to get literary luminary Joan Didion on the $10 bill. Earlier this year, the U.S. Treasury announced that in honor of the 2020 centennial of women’s suffrage, they would be replacing the face of Alexander Hamilton with that of a woman. The proclamation has spawned heated discussions over who the lucky lady will be. Harriet Tubman? Eleanor Roosevelt? Rosa Parks? Inspired by last year’s news that Columbia would be placing Nobel Prize-winning author Gabriel García Márquez on their bank note, Book Soup decided to offer up Didion as a candidate. While seems unlikely that Didion will end up on U.S. currency (especially since Federal law states that no living person can appear on U.S. currency, and Didion is still very much alive), the sentiment shows just how popular the former L.A. resident has become. Nevertheless, fans can show their support by using the hashtag #JoanOnTheTen on social media and can get a copy of the Didion $10 by picking up their very own bill-sized bookmark with any purchase from the store. What People Should Read About L.A. Before They Move to L.A.